PolarChartView element is the parent that is responsible for showing different chart series types in a polar chart. 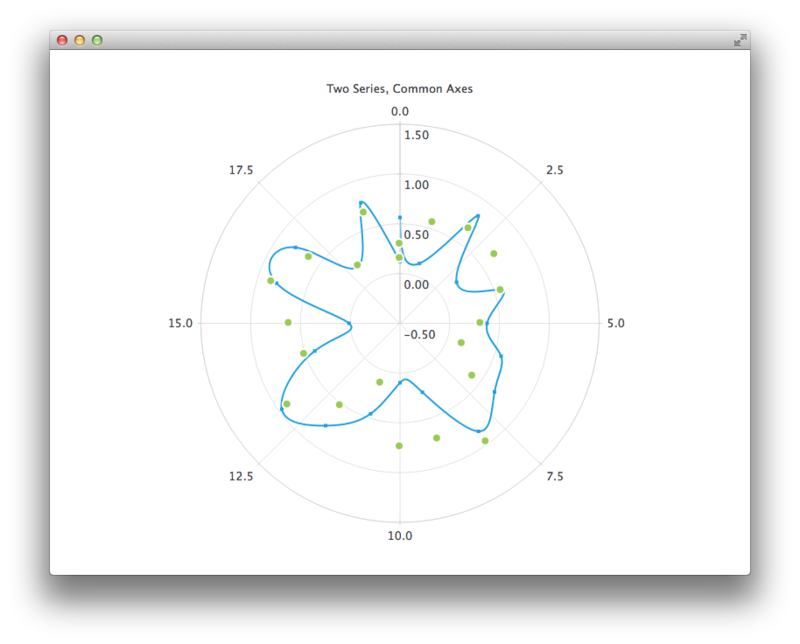 Polar charts support line, spline, area, and scatter series, and all axis types supported by those series. Note: When setting ticks to an angular ValueAxis, keep in mind that the first and last tick are co-located at 0/360 degree angle. Note: If the angular distance between two consecutive points in a series is more than 180 degrees, any line connecting the two points becomes meaningless, so choose the axis ranges accordingly when displaying line, spline, or area series. title: "Two Series, Common Axes"